Jason Diamond called 2014 “the year of the essay,” and he may be right, but it was also the year of the story and the novel—there’s plenty of room on the collective shelf! There are too many books to list, and actually too many lists to list, but a really good place to start is The Millions’s indispensable “A Year in Reading“; The Millions solicited the opinions of many, many worldly, writerly folk, and the result is exhaustive and a little intimidating. Tiphanie Yanique, Michael Robbins (his roundup is fun to read, because it’s honest and a little disappointed), Dinaw Mengetsu, and Celeste Ng, among others, tell how they felt about the books of 2014. The people of Brooklyn Magazine dug pretty deep to bring you this nicely curated list of 2014’s best sentences. What a good, insane idea! Thank you, Brooklyn Magazine. Writers like Jazmine Hughes, Jason Diamond, and Rahawa Haile weigh in. Over at the Times, Janet Maslin, Michiko Kakutani, and Dwight Garner compiled lists of favorite 2014 books. There’s some good fiction among the picks—I’m especially excited about Atticus Lish’s debut novel, Preparation for the Next Life, which tells about the marginalized American lives of a Chinese immigrant and an Iraq War veteran. It’s fast, brutal writing; check out this excerpt. Ben Lerner’s 10:04 made Garner’s list, as well. Phil Klay‘s Redeployment—a collection of stories about the wars in Afghanistan and Iraq—got the No. 1 spot on Kakutani’s list, and although the first few stories in the collection are punchy and heartbreaking (worth a purchase), the book as a whole could use some fat-trimming. Cool stuff got published online, too! I’ve written about a lot of it over the course of this year, so I’ll focus on the recent. A widow with a bad heart plays bingo in Jac Jemc‘s new story “Bulls-eye” at the Fanzine. On the heartbreak spectrum, bingo-playing widows usually rank high, and Jemc doesn’t disappoint: “If she won, it was possible that she might avoid the vicious boiling down of her choices for an entire week. She might buy the nicer brand of decaf coffee at the store. She might treat herself to the full rack of ribs from the takeout place on the corner so that she’d have leftovers for lunch the next day.” Jemc’s latest collection, A Different Bed Every Time, was published by Dzanc in October. In “Bar Joke, Arizona” by Sam Allingham, the characters of many jokes convene on an actual (well, fictional) bar in, presumably, Arizona; a duck tells a sad tale. It’s touchingly written, with moments of exciting absurdity. I’m really excited about toddler-age lit mag Okey-Panky for a few reasons. One is that they are an offshoot of renowned fiction hub Electric Literature. Another is that J. Robert Lennon is the editor-in-chief. Another is that they promise to publish a new piece every Monday, “to confirm, at the start of each working week, your suspicion that life is strange, unfair, hilarious, and possibly meaningless.” Plus they pay their writers—$100 a piece! Go to the Okey-Panky launch party; it’s on Thursday, January 8 at 7 p.m. at the Counting Room in Brooklyn. Real Pants is a pretty good name for a lit thing. Adam Robinson (Publishing Genius) and Amy McDaniel (writer) thought of it, and are making it into an actual, web-based publication, featuring writers like Mark Cugini. Here are the details. Offline, The Paris Review is always a good place to turn. The latest issue (211) features an Ottessa Moshfegh story called “Slumming” about a drug-using school teacher (classic Moshfegh!). There’s also a Saïd Sayrafiezadeh story about an unwell milkman called “Metaphor of the Falling Cat,” and three wonderful poems by Cathy Park Hong. Also there is a new Little Star, which you should get because it features many exciting stories and poems, and notably a series of chilly, cryptic pieces by Dutch writer A.L. Snijders that are translated by none other than Lydia Davis. Snijders’s stories have been described as “autobiographical fables,” which feels spot on. There are no readings or events! It’s too cold. The gradual return to livable temperatures is many awful months away. Stay indoors with your books. On the bright side, one of those books could be the new Frederick Barthelme novel, There Must Be Some Mistake. Barthelme was interviewed at The Rumpus; he’s eloquent and sometimes sphinxlike; he calls Olive Garden “perfectly American”: “They savor the wretched food, embrace its shortcomings and its station in the Temple of Foods.” Reading this interview led me to Barthelme’s 39 pieces of writing advice, which include “Don’t let it make too much sense” and “No characters named Brooke or Amber”. If you doubt his wisdom, look no further than his story “Driver” in the Barcelona Review. I dropped the poetry book ball, but David Orr did not. Although he did forget about Dorothea Lasky! 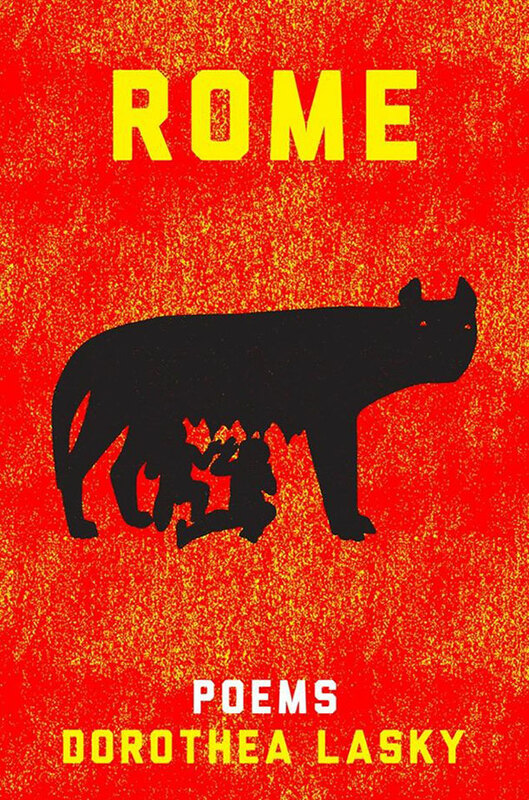 Go buy ROME. Moshfegh’s writing is at once depressed and zestful, and she builds great plots. You can read a lot of her work online. Check out “The Weirdos“, “Disgust“, and “Bettering Myself,” which won The Paris Review‘s Plimpton Prize. My favorite is “A Dark and Winding Road,” which, unfortunately, is only available in the print version of the magazine. “My mind is so dumb when I write. Each story requires a different style of stupidity. I just write down what the voice has to say.” It’s Moshfegh behind the curtain—she’s funny and lively and dark, just like her work. Brief but not slight, Rich packs a lot of emotional wallop into not many words. Also, of course: it is very funny. She’s had three stories published semi-recently: one in One Story, one in Tin House, and one at Electric Literature, which you can read right. Should you read it, you’ll probably read it hungrily, as I did, because the action rises like a ping-pong ball from the bottom of a lake. I thought of a lake because it’s about three guys trapped on a boat, in a lake. Cook’s writing is lively and frank, and her first collection, Man V. Nature, was published by HarperCollins in October. Here’s an interview she did with Hilary Leichter. A “free-range cultural consultant” named Caperton flies home because his father is dying, meets a pro wrestler, texts a girl named Daphne, breaks down but not completely. Lipsyte’s worlds are masterpieces of antagonism. His characters process cruelty and then dole it back out, or else curl up and whimper. It’s all scarily relatable. But something magic happens when we relate to the pain of fictional characters—we feel more of this earth, in league with the human experience. It’s not all pain, either; Lipsyte is funny (yeah, painfully). And he sprinkles crumbs of hope among the ruins, but you really have to keep your eyes peeled. Joy Williams is one of the great contemporary short story writers; read her collection Honored Guest. Speaking to the role of the subconscious in writing, Williams says, “Can we incorporate and treasure and be nourished by that which we do not understand? Of course.” Also, take a look at this exhaustive Joy Williams post on author Dennis Cooper’s blog, part-written by Tao Lin, which pays particular attention to the aforementioned story collection. It’s a story in letters: a teenage boy submits work to his high school’s lit mag (El Giraffe), in no small part because he has a crush on one of the editors. If you’ve ever sent lovingly-crafted yet ultimately plot-weak work to any number of small, esteemed publications, and received, months later, a series of unnervingly polite “no”s (I’m not bitter), you will get a kick out of this story. Hear Saunders read “Love” by Grace Paley and “The Wretched Seventies” by Barry Hannah. Wow! Also, hear him speak with Deborah Treisman.